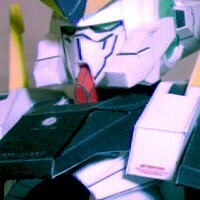 Update parts for continue building Nadleeh Akwos Gundam Papercraft. As usual Wanda make separate files for templates and instructions, both in PDF format. 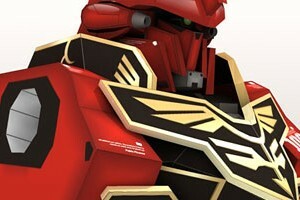 Before releasing another Gundam Nadleeh Parts, Wanda take a break by making this A-Law's Automaton Papercraft. 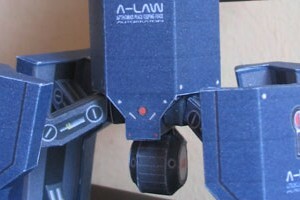 Automatons are anti-personnel robots used by A-Laws in season two of Mobile Suit Gundam 00. They are specially designed for search and destroy mission. Yesterday someone asked me about when will I'm going to release another gundam or gundam parts, and I answered "Perhaps in one or two weeks". 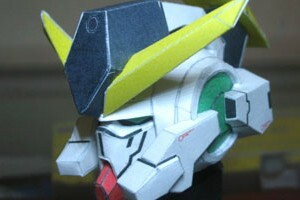 Apparently I was wrong, last night Wanda, who created papercraft of Gundam Kyrios send me his first part of Gundam Nadleeh, the head part. The instructions is included on this release. As previous parts, This Gundam Sinanju waist part come with 2 scale, large version contains 11 pages and the small one only has 6 pages. This part is more complicated than the torso. 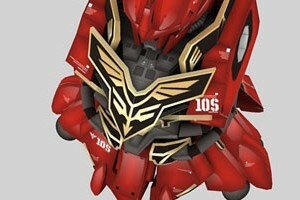 I have various feedbacks after releasing the first of Sinanju Gundam part, the head part. Some said it is too big, and some said bigger is better. So I made a small version of this sinanju before it's going too far, I hope by giving people alternate template size to choose is better for everyone. I also have added the link of small head version, which you can download at the head page here. The overall height of the large version is 68 cm while the smaller one is 38 cm a perfect match for the original unicorn scale. Enjoy building and don't forget to send me the build pics on our new forum.